Katey Sagal was born January 19, 1954 in Los Angeles, California. 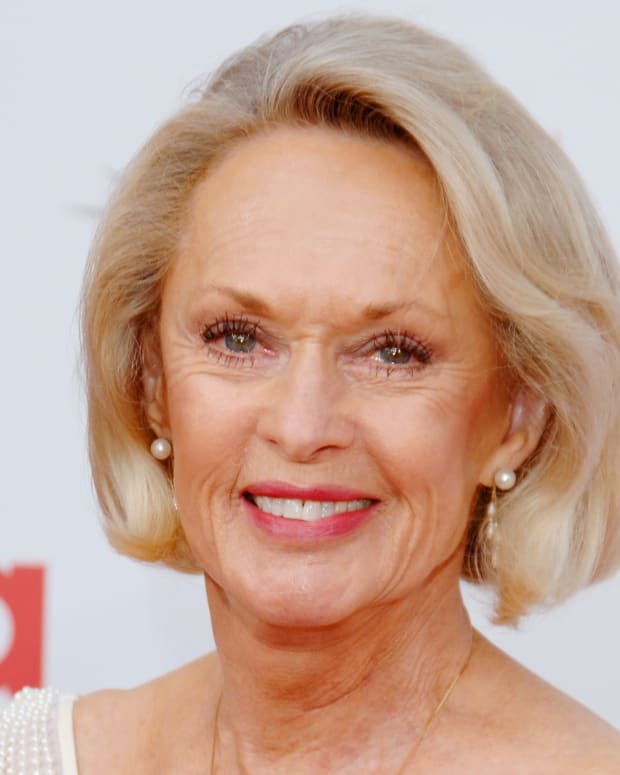 She landed a few television movie roles in the early 1970s. In the 1980s, she returned to acting and landed a role on Mary. She had better luck with her next series, Married... With Children. After the series ended, she appeared in television movies and a few short-lived sitcoms and later made several television guest appearances. 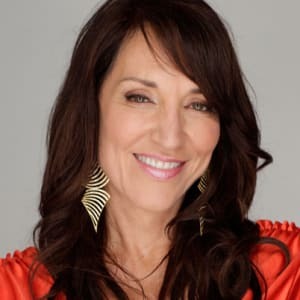 Katey Sagal was born on January 19, 1954, in Los Angeles, California. She is primarily associated with her role as the blunt, rough-around-the-edges mother Peg Bundy on the hit comedy Married... With Children. 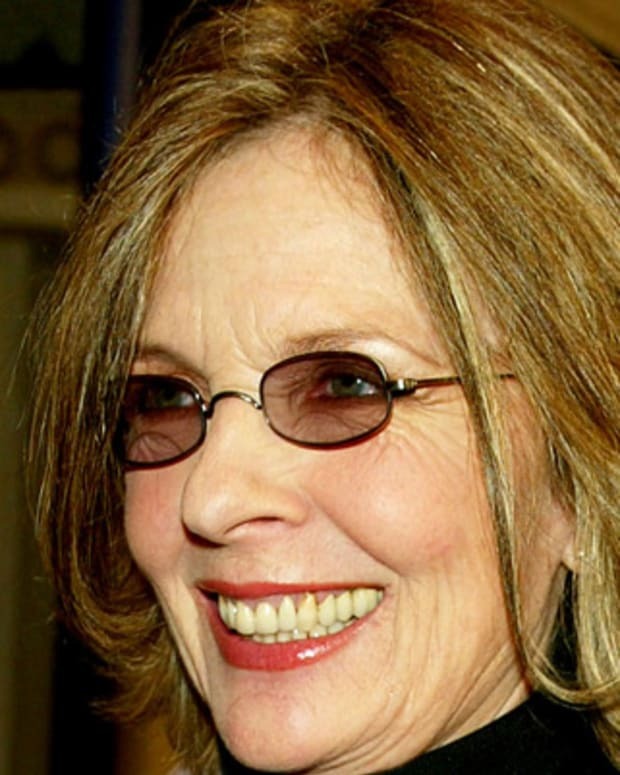 She came from a show business family, with her parents working as directors and producers in television and film, while several of her siblings acted professionally. A talented singer and actress, Sagal landed a few television movie roles in the early 1970s before focusing on her music career. 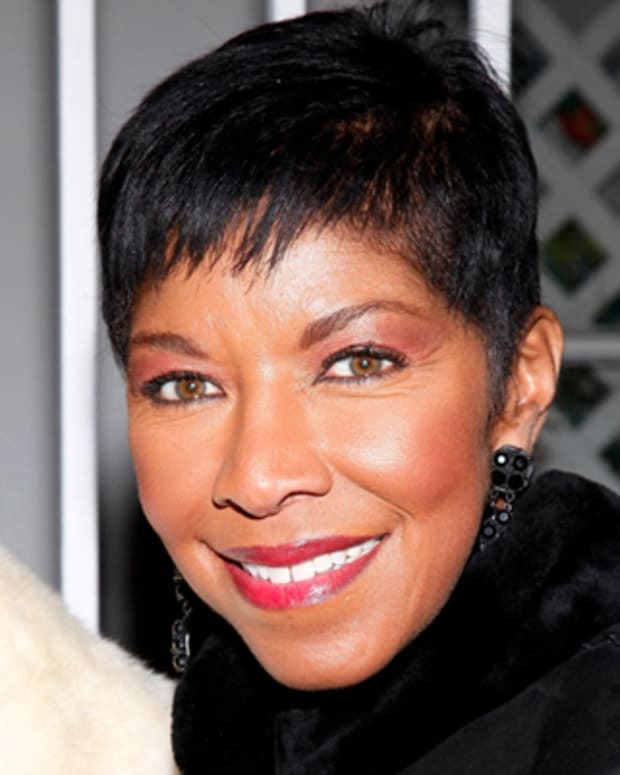 She worked mostly as a back-up singer, touring with the likes of Olivia Newton-John and Bette Midler. In the 1980s, Sagal returned to acting and landed a role on Mary, a sitcom starring Mary Tyler Moore, set in a Chicago newspaper office. On the short-lived series, she played Jo Tucker, a hard-boiled columnist. Sagal had better luck with her next series, Married... With Children. Debuting in 1987, the series featured the extremely dysfunctional Bundy family. Sagal played Peg Bundy, the antithesis of the average television housewife. Brassy and loud, she had no interest in housework or her obnoxious, often sexist husband Al (played by Ed O&apos;Neill). The couple had two bickering teenagers Bud (David Faustino) and Kelly (Christina Applegate). This was no polite comedy of manners — the characters put each other down at nearly every turn and the show broke new ground in terms of raunchiness. During the run of the show, Sagal experienced a personal loss. Eight months pregnant, she lost her baby with boyfriend Jack White in 1991. Her character had been pregnant on the series as well; the show addressed the situation by making all of the episodes with Peg pregnant as part of a dream. After the series ended in 1997, Sagal appeared in television movies and landed a few short-lived sitcom parts. She also branched out in a new direction, lending her voice to the character of Leela, an alien spaceship captain, in the Matt Groening animated series, Futurama. Debuting in 1999, the series lasted for 124 episodes and garnered a cult following, ending in 2013. She also voiced Leela in the feature length film, Futurama: Bender&apos;s Big Score (2007). Making a successful return to situation comedy in 2002, Sagal starred in 8 Simple Rules for Dating My Teenage Daughter as Cate Hennessy, a mother of three and worlds away from her Peg Bundy character. Cate was caring and understanding with her three children and husband Paul, played by John Ritter. 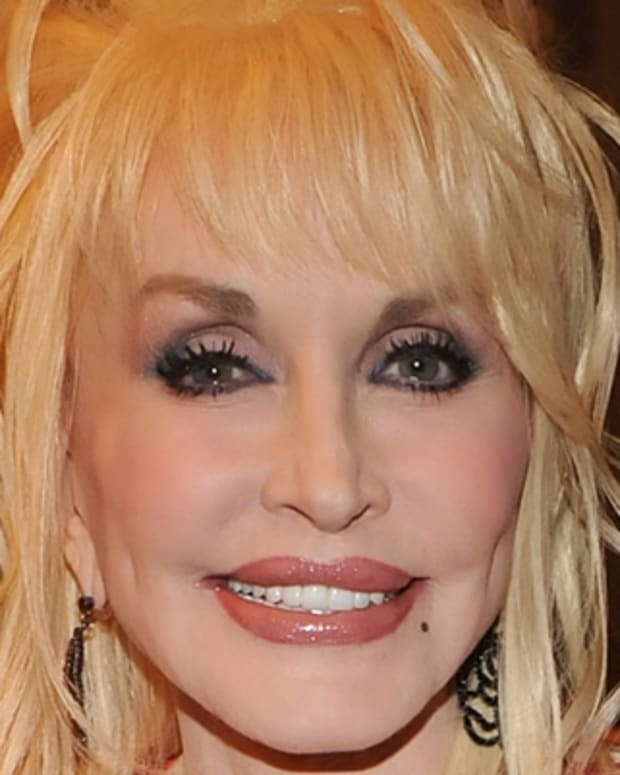 Part of the show&apos;s premise was that the parents were switching roles —Cate returned to work as a nurse while Paul, a sportswriter, worked at home and looked after their two now teenage daughters and son. Tragedy struck the show when John Ritter died unexpectedly in 2003. The network decided to continue with the series and incorporated Ritter&apos;s death into the show by having his character die. 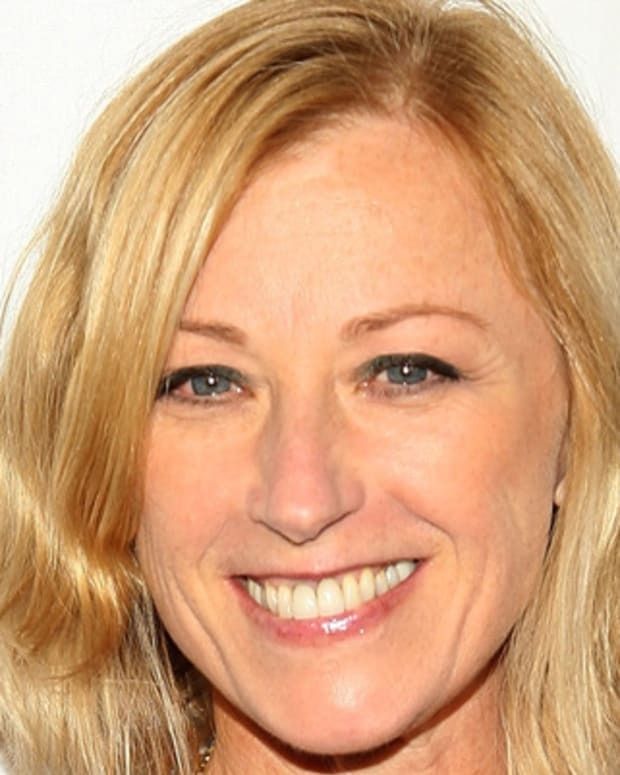 As the show&apos;s central character, Cate Hennessy mourned the loss of her husband, comforted her children, and tried to move forward with her life. Other family members played by David Spade and James Garner were brought in later. The show ended in 2005. After 8 Simple Rules, Sagal made several television guest appearances on such popular shows as Lost and Boston Legal. Sagal returned to series television in 2008 with a recurring role on legal comedy Eli Stone and a leading role on the motorcycle club drama Sons of Anarchy. In addition to her acting career, Sagal has recorded two albums: Well... (1994) and Room (2004). In 2008 to 2014, Sagal found a home in cable television on FX&apos;s Sons of Anarchy. 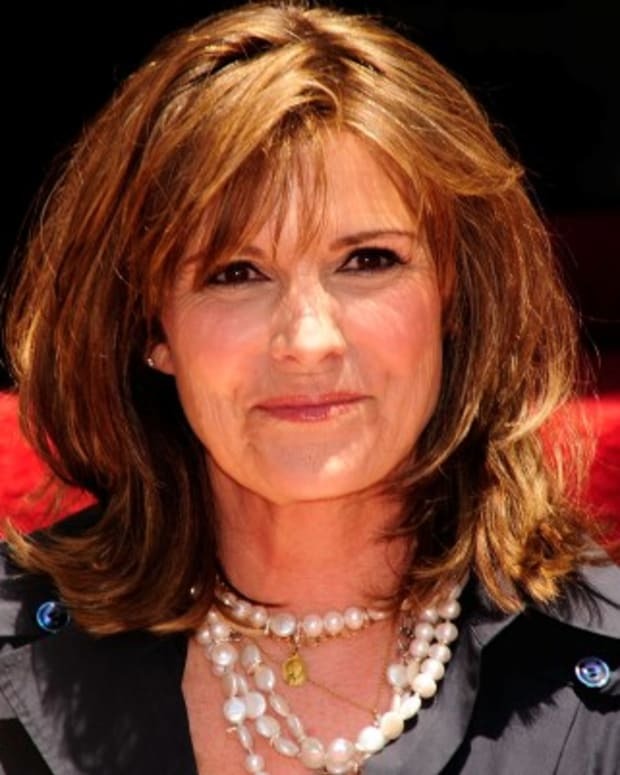 During its run, she won a Golden Globe in 2011 for her portrayal as Gemma Teller Morrow. In 2016, it was announced that Sagal would be joining the cast of the popular sitcom The Big Bang Theory, as Penny’s mother, Susan. Penny is played by actress Kaley Cuoco. Sagal is married to writer-producer Kurt Sutter. The couple wed in 2004 and welcomed daughter Esmé Louise in 2007 with the help of a surrogate. Sagal has two children, Sarah and Jackson, from her second marriage to Jack White, which lasted from 1993 to 2000. She had been married previously to Freddie Beckmeier from 1978 to 1981. Actress Christina Applegate played Kelly Bundy on the popular sitcom 'Married... With Children.' She is a breast cancer survivor and publicly promotes breast cancer awareness.